Brand new 361182 Xray Composite Rear Lower Brace. 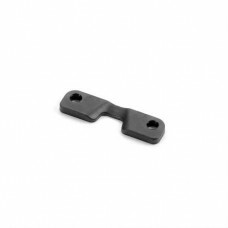 Composite rear lower brace made from tough composite material. Brace is mounted between rear composite chassis brace and rear suspension assembly, and provides desired chassis flex. Taken from an unbuilt XB4 2017 kit.